In keeping with my latest luxury binge, I figured an upgrade in the towel department was necessary. What do you think? 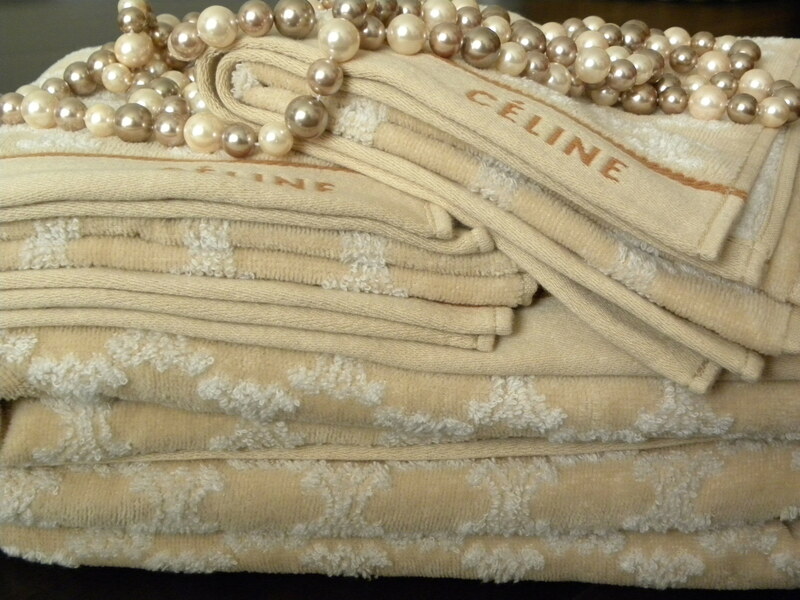 These fabulous Céline towels drew me in with their amazingly fluffy texture and I can’t wait to hop in the shower and give them a try after. Bathing in luxury, literally. This could be a fabulous gift idea for a darling of yours, as towels such as these are both an elegant and practical solution. 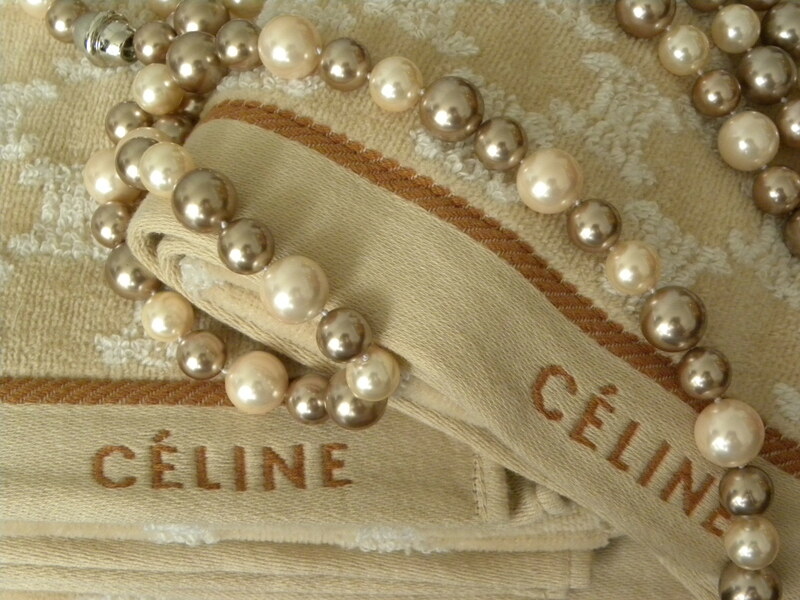 This entry was posted in Beauty, Fashion, Gifts, Interior Decorating, Life style, Luxury, Shopping, Style and tagged Accessories, セリーヌ, ファッション, ブランド, Bath, Beauty, Brand, Céline, Fashion, Interior Decorating, Life style, Luxury, Shopping, Style, Tokyo, Towels by linneabylinneanilsson. Bookmark the permalink. Beautiful! Love the necklaces too. I love your pictures! Always so elegant.